​One of the most crucial aspects of the interior decoration of any home is instantly making a room look and feel warmer. Alpha Décor produces curtains & drapes with a variety of headings including standard pencil pleat gathering, pinch pleating, goblet pleating, box pleating and tab tops. Borders can also be added on request, to match any interiors. These treatments can be unlined, lined or interlined, with the latter two finished off by hand-stitching (slip-stitching). 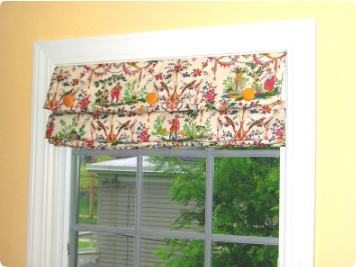 Curtains made by Alpha Décor will have hand sewn hems with weighted mitred corners, and unless the design calls for otherwise, a lining attached using hand stitching. These traditional methods guarantee a quality finish and curtains that hang beautifully. Depending on your choice of fabric you could choose to have your curtains interlined. This is when a thicker layer of fabric (interlining) is sandwhiched between the main fabric and lining. It is particularly desirable when the curtains are made from a lighter weight fabric (such as silk) as it gives them a much more sumptuous look and feel. 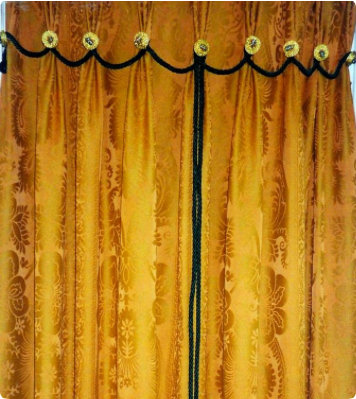 Interlining curtains also increases insulating properties and is very useful for draughty windows. As standard I use a crease and light resistant lining which drapes beautifully; this is slightly heavier than most linings and will complement any fabric. For bedroom curtains or other areas where light coming through the curtains needs to be minimized I would suggest a blackout lining. If you require extra insulation but don't want your curtains interlined, thermal lining can be used. All Roman Shades made by ​Alpha Décor have an aluminum bottom bar and internal rods to maintain their shape. The rods are placed in pockets formed in the lining. When using a sheer fabric the rod pockets are formed in the main fabric. All shades are lined, and if required interlined, for extra thickness and insulation. Blackout lining is used to prevent light showing through. To maintain my level of quality, I use small secret stitches to join the layers together which are almost invisible. Shades are fixed to the wall along the top edge and have cords spaced across the width to pull up the fabric. There are different mechanisms available to carry out this task, ranging from a simple wooden batten with screw eyes to a sophisticated self contained cassette system. You can choose which mechanism is most appropriate for you and your budget. Sadly because there have been some accidents with shade cords, the American National Standards Institute (ANSI) has issued standards for all corded window coverings to address the issue of cord safety. Click here to familiarize yourself with these standards.